This excellent album Taranta Project is like a magnificent oriental railway system linking jazz, folk and Middle Eastern held together by gossamer like strains of North African trance music in the chamber music style of the post-serialist 20th century conservatoire. But to describe it in that manner would give the impression of overcooking when in fact the whole project is a masterpiece of subtlety. There is a seamless melding together of the myriad idioms and metaphors of each of the forms that have given it the character it now has: a many-splendoured musical odyssey. 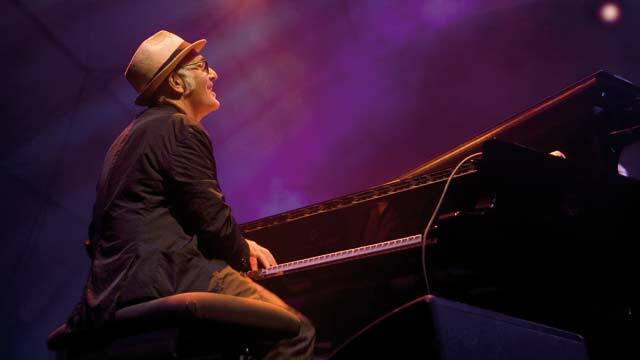 Ludovico Einaudi’s take on the lineage of the cool spacey trumpet and the trombone; the fluttering angularity of the piano and other instruments – all of which sees the ingenious pianist and musician summoning a rich atmosphere of tones from the ensemble which float benignly over one instrument, then another until the a veritable symphonic orchestra comes alive. In its turn this ensemble adds a rich and not entirely predictable harmonic foundation to the music. 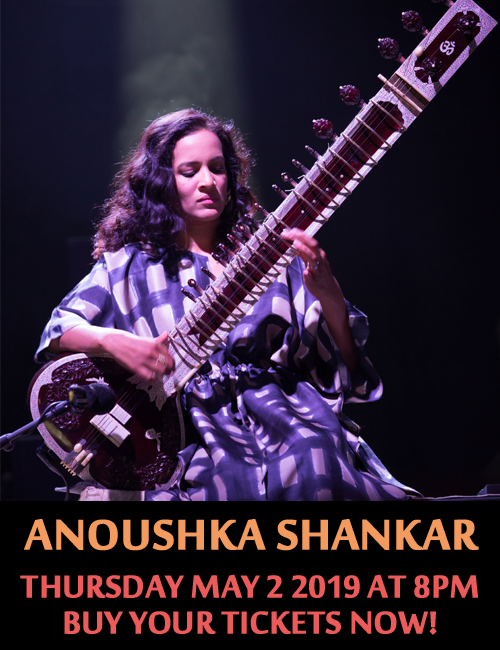 The surprises, when they come, are effective but discreet: a whirling dervish like riff is played as pizzicato harmonics, a delicate curlicue of a bass line underpins what sounds like the trance of seven colours, a Gnawa cleansing. Close-knit ensemble passages develop from single phrases the lines criss-cross like the warp and weft of a diaphanous musical fabric. 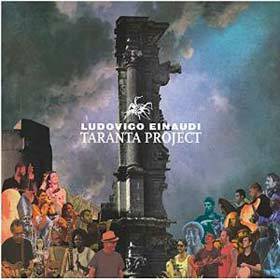 With the Taranta Project Ludovico Einaudi is now at the pinnacle of his compositional and pianist powers. And he has ample reason to be proud. “Taranta” is a slow, mysterious and dark piece, with a profoundly beautiful melody and an enormously rich harmony. There are thoughtful soli including one by the pianist that resembles the trance-like rhythms of North African Gnawa melded in with the keening of a Turkish ney. Ludovico Einaudi continues to ring in the changes in mood, structure and tempo, making for a constantly interesting programme. The considerable degree of balance and integration of melody, harmony and rhythm, of composition and improvisation, of exploration, individuality and tradition is impressively maintained throughout. The recorded sound balances detail and warmth throughout. Track List: Intrcuctio ad regnum Tarantule; Taranta; Fimmene; Nazzu Nazzu; Choros; Core Meu; Tonio Yima/Rirollala; Mamma La Rondinella; Preludio/Nar I-Scher; Ferma Zitella; Santu Paulu/Finale; Nuvola Bianche.